The following is from Bernardo Atxaga's novel, Nevada Days. 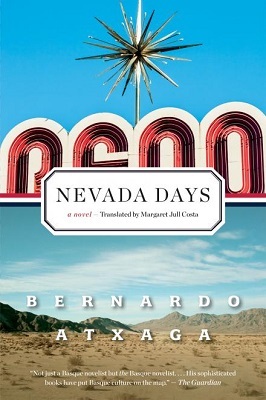 Told in a series of diary-like entries, Nevada Days weaves together fragments of the Basque diaspora, incidents in Reno, and memories from Atxaga's childhood, presenting a new and ominous vantage point on the American West. Atxaga is a Spanish Basque writer. He has won the National Critics Prize for best works in the Basque language and the National Literature Prize. Reno is always silent, even during the day. The casinos are airtight edifices, carpeted inside, and no noise spreads beyond the rooms where the slot machines and the gaming tables stand in serried ranks. You can’t even hear the traffic on the busiest road, Virginia Street, or on the freeways that cross the city, the I-80 and Route 395, as if they, too, were carpeted or as if the cars and the trucks were moving very stealthily. When night falls, the silence, or what you subjectively experience as silence, grows even deeper. The mere tinkle of a bell would put the city police on guard. If a firecracker were to go off in a house, they would race there in their patrol car, lights flashing. The silence was the first thing we noticed on the day we arrived in Reno, on August 18, 2007, once the cab from the airport had driven off and left us alone in front of what was going to be our house, 145 College Drive. There was no-one in the street. The garbage cans looked as if they were made of stone. We unpacked our cases and went out onto the verandah at the back of the house. In the darkness, we could make out shapes, nothing more: rocks, tall plants that resembled reeds, and cactuses. The garden was quite big. It sloped uphill and was flanked by trees and bushes. Ángela pressed a red button next to the back door, and the spotlights on the wall lit up about 100 or so feet of the garden. At the top of the slope was a large house, and to the right, where the trees were thickest, a shack. Izaskun and Sara ran towards the shack. “There’s something over there!” Izaskun exclaimed, grabbing her sister by the arm. Near the cabin, I could make out two points, two small yellow holes, two shining eyes. They did not move or blink, inhuman in their fixity. Before we left home, I had read a travel guide to Nevada, in which, among other dangers to bear in mind—in second place only to the sun—they listed rattlesnakes. However, according to the photographs and other information, they never left the desert. Those two small yellow eyes could not possibly belong to a reptile, I thought, but were more likely to belong to a cat. I couldn’t be sure though. There was a stick near the shack door. I picked it up and took a step forward. I was expecting some noise, some movement. Nothing. Only silence, the same silence we had noticed when we got out of the taxi. My eyes were gradually getting used to the dark. I could make out a small head, and behind it, a striped tail. “It’s a raccoon,” Ángela said. Izaskun and Sara wanted to get closer, but, despite what Ángela had said, I told them not to. The guide to Nevada had not included raccoons among the possible dangers awaiting the visitor, but it had mentioned that some might have rabies. It could have been a mansion like the ones you find in wealthy areas in American cities, because it had steps and a porch, and there was a delicate harmony in the design of roof, windows, walls; the steps, however, were crumbling, and the porch was barely big enough for one rocking chair. Inside, the habitable space was, at most, 130 square feet. The house was a mansion, but in miniature. There were two bedrooms, one of them a reasonable size, large enough for a double bed, but the other so small that two single mattresses only just fitted in. The bathroom was narrow, and the corridor even narrower. The rectangular kitchen was divided into two halves. 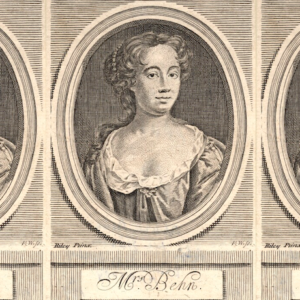 There was a fridge, sink and cooker in the first half, and, in the second—which was lit by the window that gave on to the garden—a square table with four chairs. Since there was no living room, the sofa and the television had been placed in the hall. The house was full of old newspapers, advertising flyers and unopened letters, and our first job, once we had unpacked, was to throw away anything that was clearly junk. We saved a few copies of the Reno Gazette-Journal and a letter from the Bank of America bearing a stamp saying documents and addressed to a certain Robert H. Earle. I got up at two o’clock in the morning and went into the kitchen for a glass of water. I found Sara in the hall, next to the sofa. Seen from behind, in her nightdress, she looked like a little doll. She was staring at the frosted glass eye of the front door. Seen through that eye, the casino buildings were blurred shapes, in which the dominant colour was red. I called softly to Sara. She didn’t hear me. I picked her up in my arms and carried her to bed. We went out for our first evening stroll and walked about a hundred yards down College Drive as far as the highest part of Virginia Street. From there we could see the whole city: a web of glassy white lights with the casinos all lit up in red, green and fuchsia. In the distance, the lights thinned out until they were a mere sprinkling. Beyond that lay the utter darkness of the desert. We walked along Virginia Street as far as the point where the I-80 passes underneath the houses, and next to a Walgreens we saw a few beggars. On the other side of the road, parked at the Texaco gas station, two police cars lurked in the shadows, watching. A helicopter flew by overhead, very low, signalling its position with a flashing red light. It passed over the highway and landed on the roof of St Mary’s, the hospital we had unsuccessfully requested to be added to our health insurance, only to find that it was too expensive for our coverage plan. We left the street and headed off towards the university campus. It was dark. A single swan was swimming on Manzanita Lake, which skirted the building that housed the dining halls and the School of Mining. The swan glided effortlessly over the water, apparently carried by the breeze coming off the desert. They were showing a documentary about the Second World War on television, and I stayed up to watch it after Ángela and the girls had gone to bed. The narrator spoke in suave, soothing tones, and the old soldiers, now in their eighties, were speaking sadly of the comrades who fell in Normandy. The soundtrack was Henry Mancini’s “Soldier in the Rain” and another equally slow, sad tune that I couldn’t identify. I remembered what we had seen on our way through San Francisco airport: British and Spanish flags everywhere, posters talking about the “war on terrorism” or about “America’s friends”. The documentary suddenly took on a new meaning. We were in a country at war. It had been four years since George Bush decided to invade Iraq, and the American army had lost thousands of men. The narrator’s suave tones, the sad notes of “Soldier in the Rain”, everything in the documentary that appealed to heart and guts was aimed at the present, not the past. Excerpt from Nevada Days by Bernardo Atxaga. English Translation copyright © 2017 by Margaret Jull Costa. Copyright © 2013 by Bernardo Atxaga. Used with the permission of Graywolf Press, Minneapolis, Minnesota, www.graywolfpress.org.